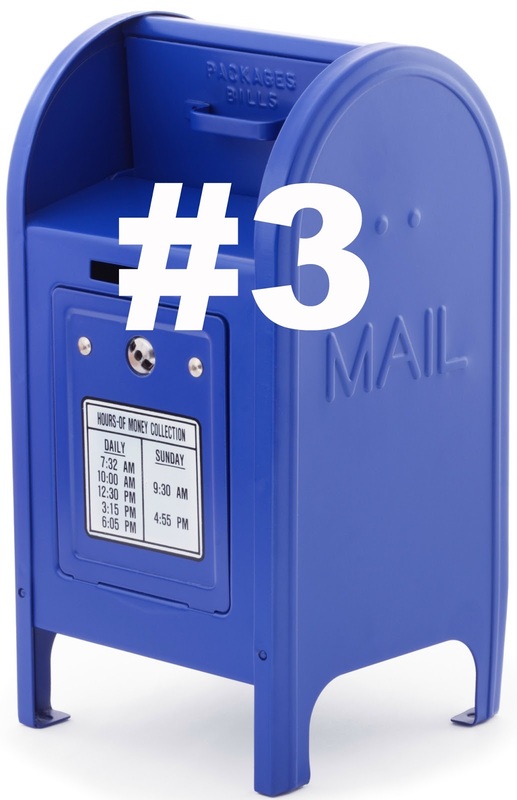 Did you know April is National Card & Letter Writing Month? Growing up, I always loved running to our mailbox to see if I had received a letter. Whenever I was disappointed, my mom would say, "If you want to get mail, you need to write letters." I still love to receive "real mail" and cards! When I was in elementary school, I was very excited to sign up for an international pen pal program (this was back in the '70's). I had several pen pals, but one in particular, Stephanie (from England) & I wrote to each other regularly for several years. We loved learning about each other's country and traditions. We would even send each other little gifts in the mail. (I loved seeing the different spelling of certain words or learning the British words for everyday objects!) I've talked so often about having a pen pal, that my 11-year old has been begging for me to find her one. Luckily, through all the wonderful teachers across the country (& world!) I've met through TpT and blogging, she now has 3 pen pals in different states! So when my friend, Monica at Fourth Grade Frenzy, suggested we have our classes be pen pals, I jumped at the opportunity! We are in California and she is in New Jersey, so our classes love that we can learn about fourth graders in another state! Monica has a terrific friendly letter writing product that makes teaching the format simple. You can check it out here. Reading and writing skills improve as students practice their writing skills and organize their thoughts onto paper. They are writing for a real purpose and a real audience. Some of my kids who moan & groan when it comes to writing, eagerly want to begin writing back to their pen pals! And since their letters are going to a real person, we've had many lessons about the purpose & importance of using correct grammar, proofreading for spelling, punctuation, and capitalization. (This is not texting!) They have total buy-in after self-righteously pointing out errors in letters received and they want to make a good impression on their pen pal, as well as make their letters understandable. Having a pen pal develops compassion and understanding of other cultures and values. Writing to students who are different than themselves help them to learn more about the world around them. Despite living in different environments, there are many things that make kids the same everywhere. It's been so cute; several of my students have commented, "My pen pal is exactly like me! She likes the same books as me and loves dogs, too!" "My pen pal plays basketball and Minecraft, too!" 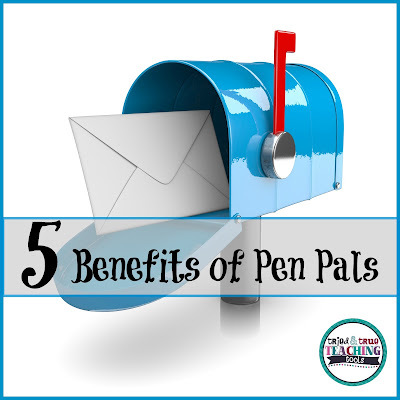 Having a pen pal promotes many life skills, including development of social skills. A letter filled with all "all about me" and no questions does not make for a good pen pal relationship! Just as a letter that sounds like "20 Questions" does not foster relationship building either. Students modeled this by reading their letters aloud to a partner to see if their tone was interested and reciprocal. Many revisions were made! Letter writing to a pen pal also encourages the ability to search for and find common bonds between letter writer and reader. After describing a past travel experience, one of my students reread her letter, then added, "I hope you don't think I'm bragging because I'm not trying to." She was truly concerned that her letter came across as boastful, rather than sharing something about her family. Letter writing promotes patience; delayed gratification! I know I'm guilty of wanting instant text message replies or quick email responses. Students: "Did our pen pals write back yet?" Teacher (me): "Ummm. . . we just sent their letters yesterday. They haven't even received ours yet!" Students experience the joy of anticipation and then the satisfying reward of getting something after a wait. This makes receiving our pen pal letters even more special! Having pen pals has been such a positive experience; and it's been great to motivate our students during this long end-of-the-year stretch. Has your class written pen pal letters to another class? Click on Monica's button below to read about her pen pal experience! I never imagined that there would be so many benefits to having pen pals! I am so glad that we implemented this program! So am I!! I love the excitement my students have for getting to know their pen pals and for writing! !